Welcome! Use the links on the left to navigate this page. Mobile users: Use the button in the upper left. *Note: The West Hartford Board of Education will meet on Wednesday, January 23, 2019, at 7:00 p.m., in room 400 of the Town Hall for a Board Workshop. Regular Board meetings and special meetings/workshops of the Board of Education are usually held on the first and third Tuesdays of each month at 7:00 p.m., except July and August. Meetings are held at the Town Hall, 50 South Main Street, in the Chamber Room on the 3rd floor, unless otherwise noted in the press prior to the meeting date. The public is invited to attend all meetings of the Board, however there is no public forum at workshops and personnel matters and contract negotiations are discussed in executive session as permitted by state law. 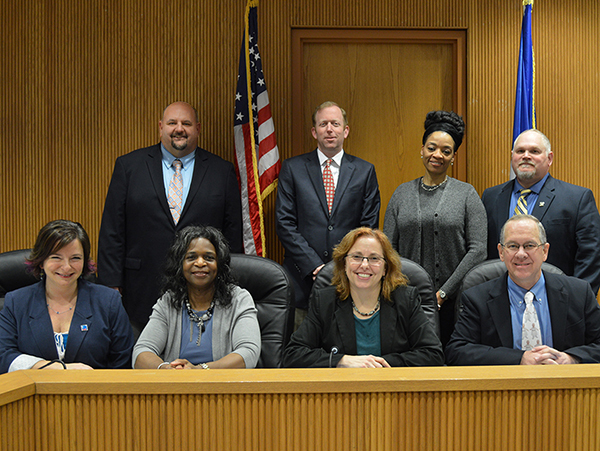 The Board of Education welcomes all visitors interested in addressing the Board at regular Board meetings. In order to accommodate everyone, the Board will refrain from immediately responding to speaker inquiries during the public comment periods. The Board will answer all inquiries at the end of the agenda, if possible; or by future correspondence when the question requires additional research.